Do you know what goes in your household recycling bin? 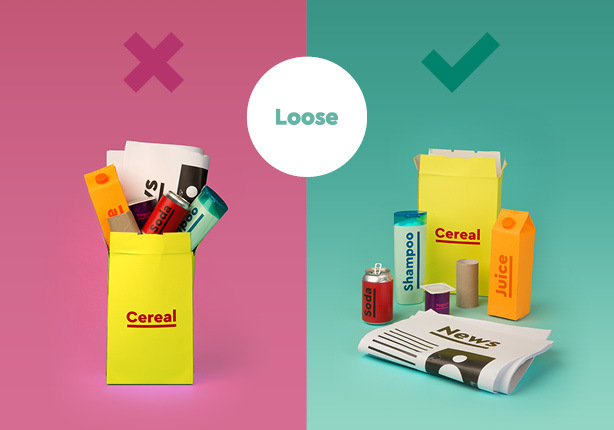 Unsure what packaging can be recycled and what should go into the general waste bin? 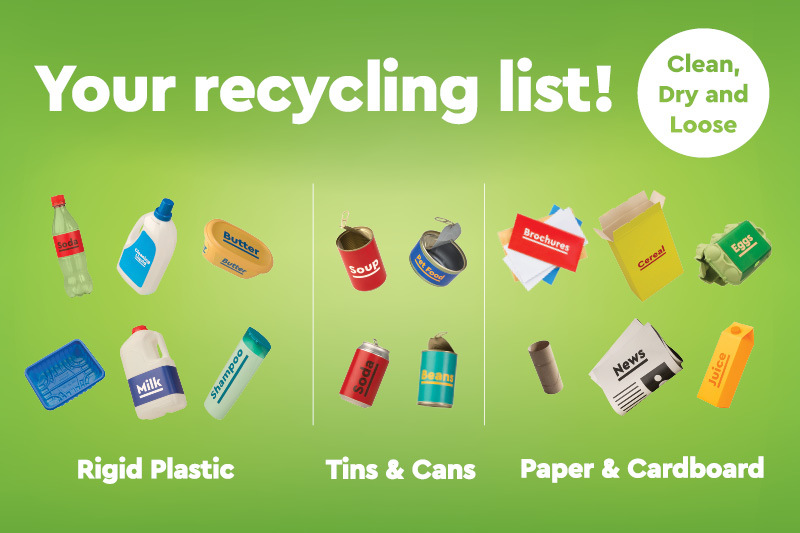 Recycling List Ireland is a national standardised list of items that are accepted as part of the recycling service throughout Ireland. If it’s not on the list, it should not be placed in the recycle bin! Please make sure items are clean, dry and placed loosely in the bin. 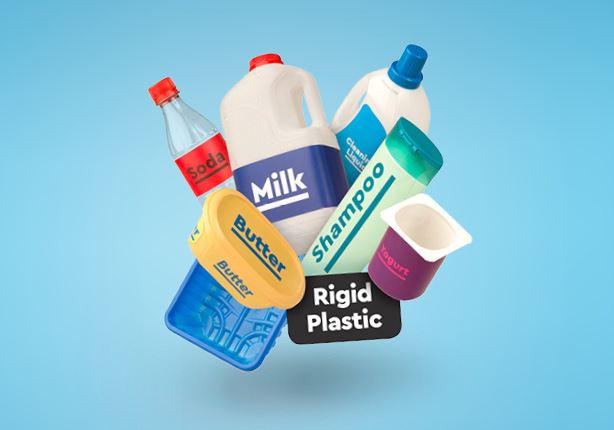 Rigid plastics packaging such as plastic drink bottles, cleaning bottles, butter containers, yogurt cartons, salad tubs, fruit and vegetable trays, plastic milk cartons and soap or shampoo bottles. All these items can be placed in your recycling bin, just make sure they are clean, dry and placed loosely in the bin. Soft plastics such as cling film are not currently collected for recycling in Ireland and should be placed in your general waste or residual bin. 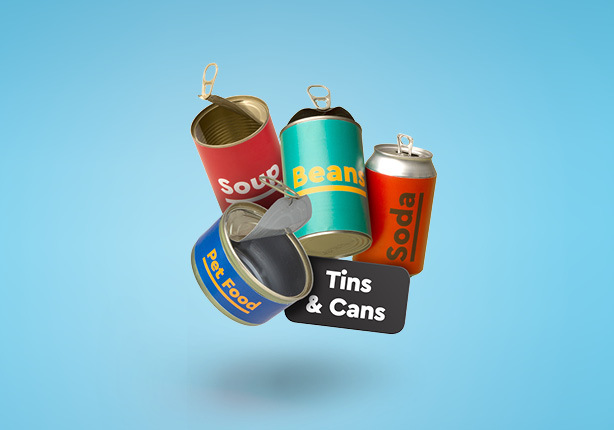 All tins and cans can be placed in your recycling bin or bag. Just make sure they are clean, dry and placed loosely in the bin. 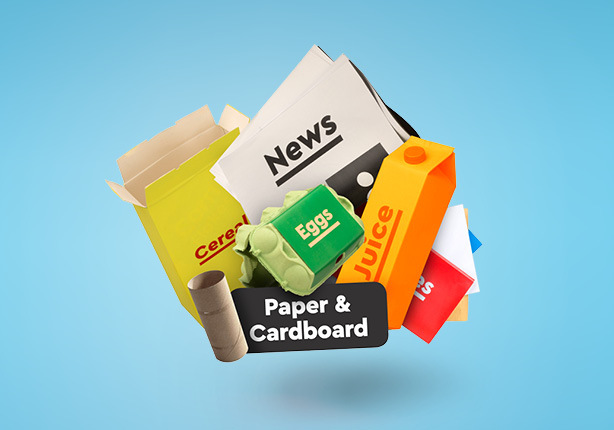 Paper and cardboard must be clean and dry before going in with the rest of your recycling. A dirty pizza box can potentially contaminate an entire bin of recycling material! 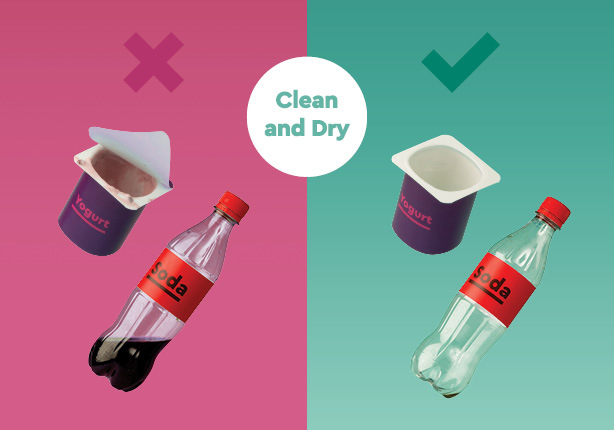 So keep putting in any cardboard, paper, egg boxes, newspapers, cardboard tubes and tetra pac cartons, just make sure they are clean, dry and placed loosely in the bin.